Deep frown lines running vertically between the eyes make a person look angry or upset even when he/she is not. Our emotions are portrayed through facial expression and frown lines are facial wrinkles that appear between the eyes when a person frowns, or looks angry or concerned. 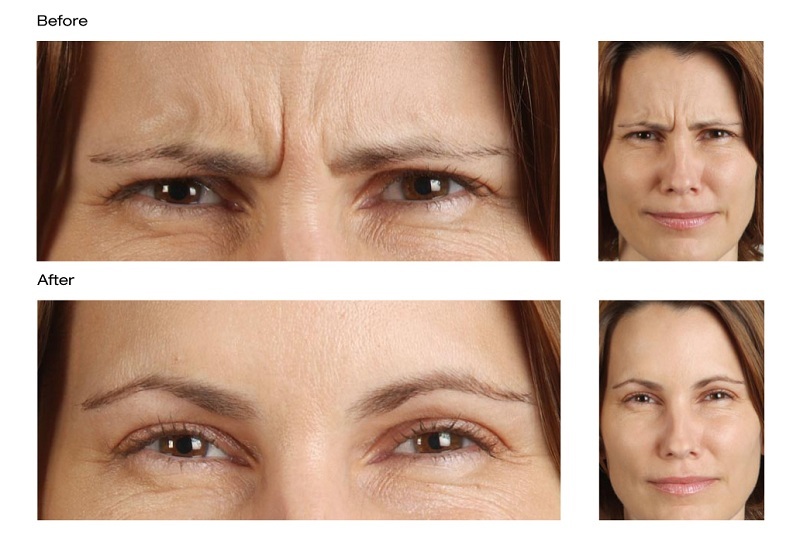 At Castleknock Cosmetic Clinic Dublin, we define frown lines as dynamic wrinkles caused by the action of the corrugator supercilii muscles. So why do people get wrinkle injection for frown lines? 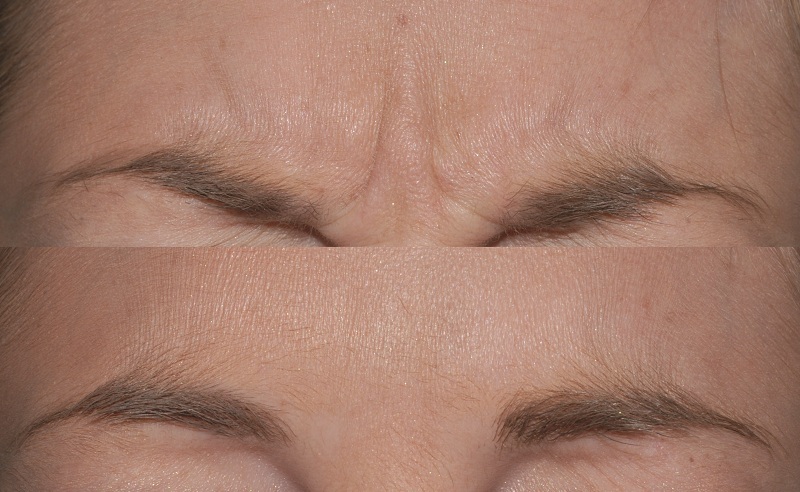 Well, If you don’t want to look worried or concerned all the time then the wrinkle injection treatment is for you. 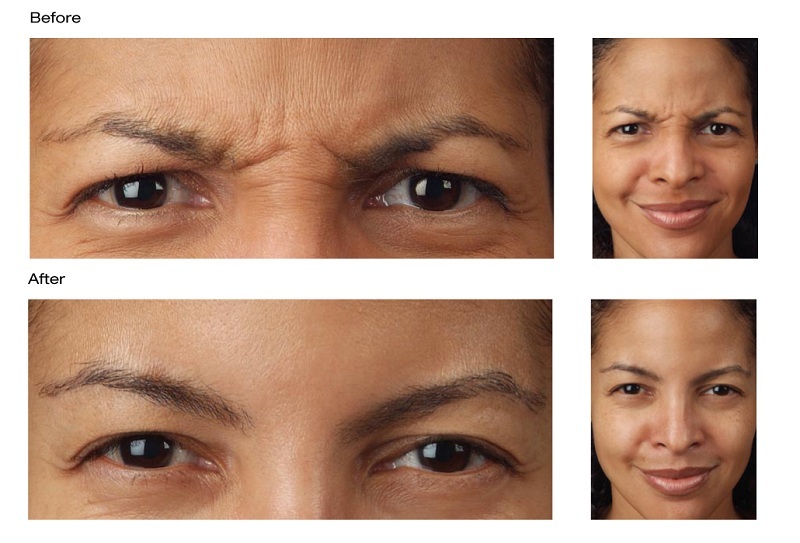 As a person ages, years of making facial expressions combined with thinning skin lead to frown lines, this is part of the ageing process on our face. Worse still, with persistence and over time the line turn into a permanent crease. An additional forehead muscle, the procerus, creates horizontal forehead wrinkles as well. There’s no doubt today the commonest treatment is muscle taming with muscle relaxing injection. The toxin is injected into the overactive corrugators and the procerus muscles, which can either relax, freeze or slow down the muscles’ movement, depending on the amount given. We recommend a lower dose for first-time patients, and reassessing after three months. The toxin works by decreasing the muscle action. In time because the muscle doesn’t work as regularly, the skin relaxes and smoothen out. Anti-wrinkle treatment for frown lines and forehead wrinkles usually repeated every three to four months. Some patients become so accustomed to not using their forehead muscles that creases are minimized even further, allowing for smaller doses. Some patients over time may feel they don’t need very much. Hyaluronic acids (HA) such as Juvéderm and Restylane are also called HA dermal fillers. Although also injected, fillers are different from Botox, Dysport or Xeomin. Instead of freezing the underlying muscle, treatments such as Juvederm and Restylane fill up a bothersome crease. Fillers work nicely to plump up that wrinkle. Unlike Botox, which doesn’t take effect for several days, dermal filler treatment work instantly. The results last for about eight to nine months. If only frown lines are being filled, a patient can expect to get two or three injections out of one syringe. Another option to eliminate frown lines and forehead wrinkles is to combine both toxin and fillers. Studies show that if dermal filler used with toxin injections, the filler lasts longer, adding that the results could last up to fifteen months.